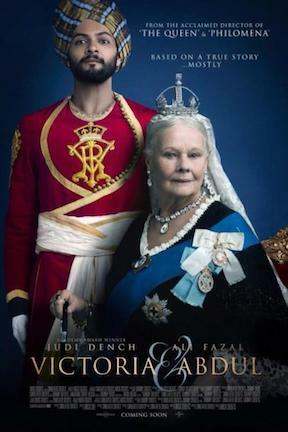 11/09/2019 Victoria and Abdul Historical biography, UK 111 min Colour 2017, Judy Dench. Queen Victoria strikes up an unlikely friendship with a young Indian clerk. He helps change her attitude towards humanity.